Used as the location for the Rock in Rio concerts, this huge park on Lisbon’s east side is great to visit if you live nearby. It also has a pretty good viewpoint over the city and the river, making it quite popular with runners, joggers and walkers from all over Lisbon. And there’s a small playground and even a lake. But it’s a particularly good green space to visit if you’re on a bike. 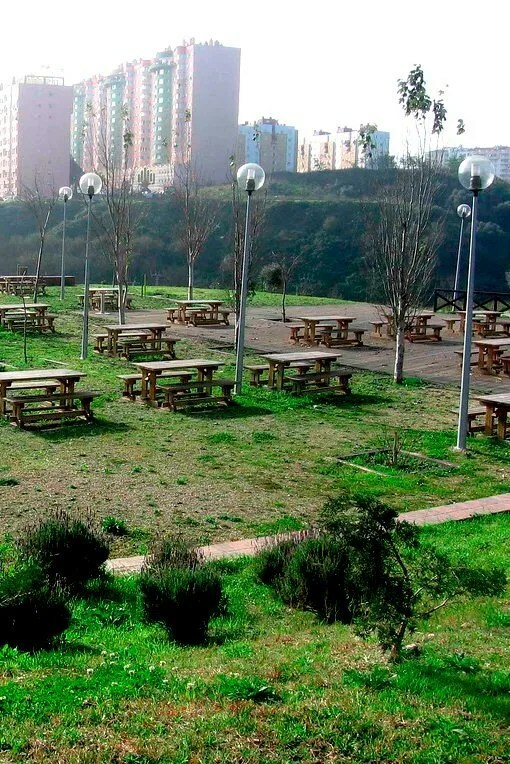 Parque de Bela Vista is a massive bowl of lawns and paved paths, with a few trees sprinkled throughout and some picnic tables, which makes it ideal for riding a bicycle. It’s usually empty, particularly on the weekdays, which means you can really zip along the paths without fear of hitting a small unpredictable human. It’s an especially nice ride if you are doing the bike loop from Parque das Nações, from which you can do via a combination of bike lanes and roads to reach Bela Vista park’s highest elevation and get some speed coming down the hills. Some of the nearby neighborhoods, particularly in Chelas, have a bad reputation, but none of the families nor the elderly visiting the park seem to think there’s anything to worry about, and the park is always well maintained.